RTI Revelation: 40% of doctors didn’t join their duty as government medical officers. Jaipur: Government service is no longer a lucrative option for medical practitioners in the state. A recent RTI has revealed that up to 40 percent doctors who applied for jobs at government hospitals have not joined duty since clearing their examination. The RTI was filed one Nikita Jangid on the posts and vacancies of doctors in medical officer posts at government setups. The reply revealed that despite that government repeatedly announcing recruitments for medical officers four times since September 2014, not many have joined government service. On September 2014 , the government required 1,549 medical officers, from which only 943 joined whereas 606 backed out. Again on July 2015, there was a requirement for 1,194 medical officers, from which only 828 decided to join whereas 366 didn’t. Similarly on March 2016, 1,275 medical officers were needed, and only 698 joined whereas 577 chose not to. Finally on October 2016, 1,170 posts were vacant, from which only 579 were filled while the rest were left vacant. TOI reports that the state has a requirement of 6,000 medical officers and is under a shortage of 1,400. After a gap of two years, the health department this month announced recruitment of MBBS doctors on 894 posts. 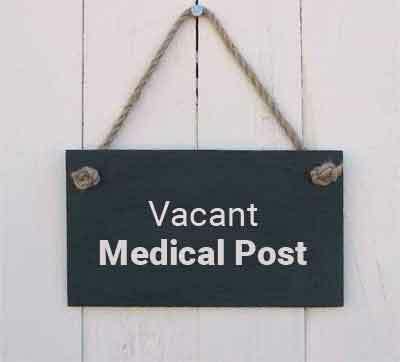 “We have advertised 894 posts for medical officers this month,” Dr RS Chhipi, additional director (gazetted), health department told the daily. “The MBBS doctors posted in remote and difficult areas get incentive marks they secure in NEET pre-PG exams for getting admission in PG medical courses. If they get posting in community health centres and primary health centres which do not fall in remote and difficult areas, they would prefer not joining the posting,” Dr Jitendra Bagria, a public health management expert told TOI. 1 comment(s) on RTI Revelation: 40% of doctors didn’t join their duty as government medical officers.